Cibona Zagreb and head coach Neven Spahija parted ways on Thursday, following a Round 5 loss at home to FoxTown Cantu. The club also announced that Spahija's assistant coach and a club legend, Slaven Rimac, will take over in the role of head coach. 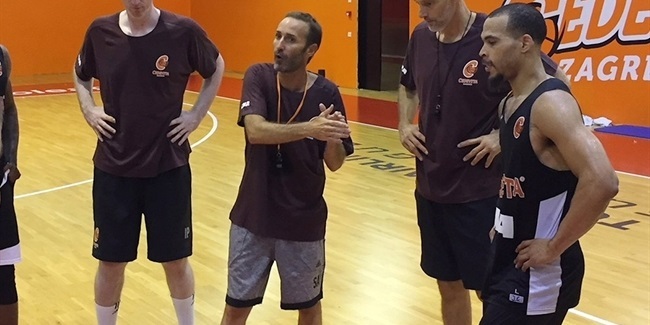 The 41-year old Rimac will lead the team next week when Cibona visits Le Mans Sarthe Basket in an attempt to break its losing streak of 17 consecutive Eurocup defeats. Spahija leaves the helm of the team exactly five months after taking over the Croatian champions, a club hungry for trophies and European victories. However, an unexpected 0-5 start to the Eurocup campaign had both club and coach mutually agree to part ways. Before Cibona, Spahija has spent two seasons with Fenerbahce Ulker Istanbul, and during his career has won domestic league titles with six different countries - Slovenia, Croatia, Lithuania, Spain, Israel and Turkey. In addition to his sole continental trophy, the 2009-10 Eurocup, Spahija reached the finals of the 2002-03 ULEB Cup, with Krka, and the 2008 Euroleague Final Four, with Tau Ceramica, where he lost to eventual champion CSKA Moscow. Rimac, on the other hand, awaits his first game as head coach. He grew up with Cibona and played for the team from 1990 to 1998, and again from 2002 to 2004. He finished his playing career in 2012 with Pau Orthez, and joined the Cibona coaching staff last season.